Valuing and dividing property owned by a couple during marriage is an important part of the divorce process, so it is crucial that an accurate picture of the family finances be fully disclosed prior to going to court. The process for acquiring this information is known as discovery. Understanding what may be obtained during discovery in Connecticut can help ensure that you are properly prepared for your divorce hearing. After you file for divorce in Connecticut, the court will hold conference and set a time frame for you to exchange financial information with your spouse through a process known as discovery. Under state law, upon request, a spouse is entitled to a copy of the other spouse's business and individual tax returns for the past three years, bank account statements, insurance policy information, and appraisals of any asset owned by that spouse. Under Connecticut law, neither party is required to produce any information unless a request is actually made. There are several forms that a discovery request can take, and they can be directed at the other party or a non-party, such as a bank. One option is through written requests, which contain a list of questions for the individual to answer. There are also subpoenas that require that a person produce a document or appear for a deposition, which involves the live questioning of the person outside of court. The law requires that a party comply with a request within 30 days, unless he can demonstrate to the court that good cause exists for noncompliance. If a party fails to comply without a good reason, sanctions, including awarding attorney fees to the other party, can be imposed by the court. Disagreements often occur during the discovery process. In cases of important assets, each spouse may obtain separate appraisals. Judges often take the average of the two opinions at trial when this occurs. Some divorce issues are difficult to value and require expert testimony. For example, if one spouse has requested spousal support, the other spouse may dispute the claim because she is fully capable of working. In this case, both sides may seek the opinion of an employment expert. These opinions would then be exchanged during discovery and evaluated by the court at trial. Although the divorce process can become highly contentious, a couple is always free to work together during discovery. In these cases, parties can dispense with formal requests and information can be exchanged with the guidance of a mediator or a neutral financial specialist. The benefit of collaborating is that it is possible to get a more accurate picture of the parties' finances more quickly. It avoids unhelpful requests that only serve to delay the divorce or harass a spouse. 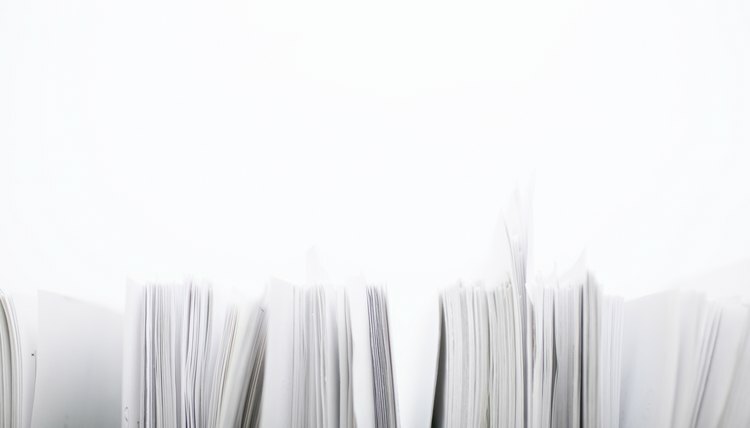 Divorces can involve a lot of paperwork in Virginia. In addition to mandatory court filings, each spouse has the right to make written requests directly to the other spouse in an effort to obtain information relevant to reaching a fair settlement or preparing for trial. This process is referred to as discovery, and it can involve several formal techniques. One method is through the use of interrogatories, a list of questions touching on issues related to a spouse's finances, parental fitness and the witnesses he intends to call at trial.